In 1944, Billy Wilder’s Double Indemnity hit the screens. I have not seen the movie, but I am told it is very good. This film noir directed was co-written by Wilder and Raymond Chandler, and was based on James M. Cain's 1943 novella of the same name, which originally appeared as an eight-part serial in Liberty magazine. Fred MacMurray starred as an insurance salesman, while Barbara Stanwyck was the housewife who wants her husband dead. 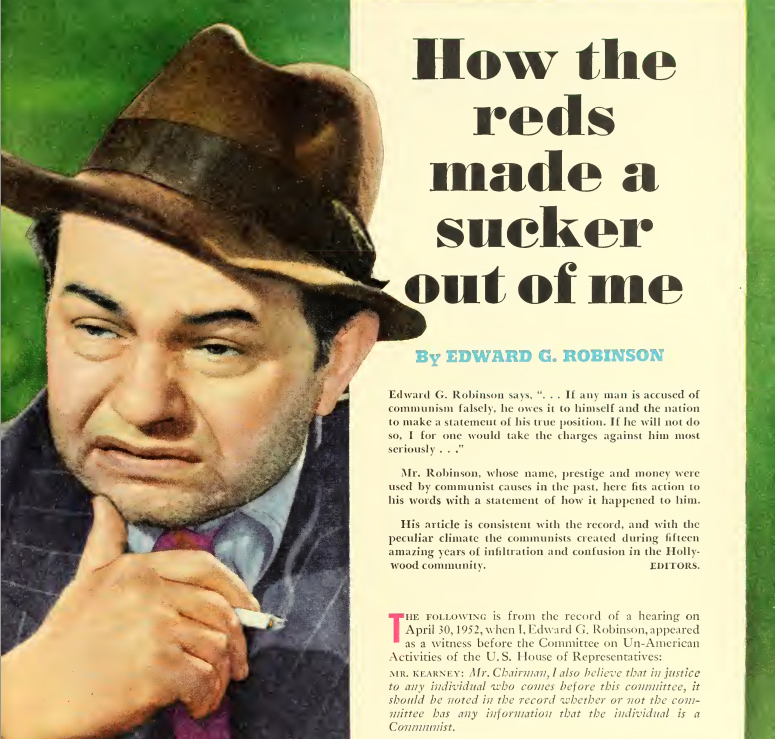 The lovely and talented and Edward G. Robinson was the insurance man looking for fakes. The movie was nominated for seven Academy Awards, which means you had to call it a film. But it lost every one of them, so you can call it a movie, after all. Everyone loves the movie, and it frequently makes Top 50 best of lists. Billy Wilder directed many movies and died at the age of 95. He's in the Westwood Village Memorial Park Cemetery in Westwood, Los Angeles. Raymond Chandler, who wrote the screenplay with Wilder and has a cameo as "man reading book," said a funny thing. This is the funny thing he said: "As I look back on my stories it would be absurd if I did not wish they had been better. But if they had been much better they would not have been published." He died in 1959 and is buried at Mount Hope Cemetery, in San Diego, California. Fred MacMurray went on to success in the television program, My Three Sons, in which he played a father who had three sons. MacMurray died from pneumonia at age 83 in 1991. His body was entombed in Holy Cross Cemetery in Culver City, California. Mary Astor is also buried there, as is Spike Jones. It is a very popular place to bury deceased people who were famous. Barbara Stanwyck went on to star in a show called "The Barbara Stanwyck Show," which was hosted by Barbara Stanwyck. She died in 1990 and her ashes were scattered from a helicopter over Lone Pine, California. Edward G. Robinson testified before the House Un-American activities Committee, naming Albert Maltz, Dalton Trumbo, John Howard Lawson, Frank Tuttle, and Sidney Buchman as commies. His body is at Beth-El Cemetery in Brooklyn. You've never seen Double Indemnity? My eyes widened so much at that confession that I could barely read the rest of this! God, I love this post. Side note, if you ever get the chance to visit Westwood Village Memorial Park, do it. It's a veritable who's who of dead people. Holly, Thanks for the heads up. Dead people are my favorite.